HOW did this Book come about & WHY is this Book important? | HOW did this Book come about & WHY is this Book important? – Who is Israel? HOW did this Book come about & WHY is this Book important? Can “Flesh & Blood” inherit the Kingdom of God??? 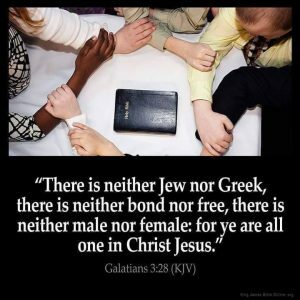 According to the Scriptures, “Flesh” cannot inherit the Kingdom— so it really does not matter what ethnicity or skin color one’s flesh happens to be! Does this book teach hatred towards Any humankind? We reject any & all racism, and we reject any & all prejudice for, or hatred against, any ethnicity. We are NOT “anti-Semitic”… However, we ARE anti-fraud, anti-lies, anti-deception, anti-unbiblical doctrine, and we are “anti-anything” that is antiChrist! We are anti-Satan and his false religion. 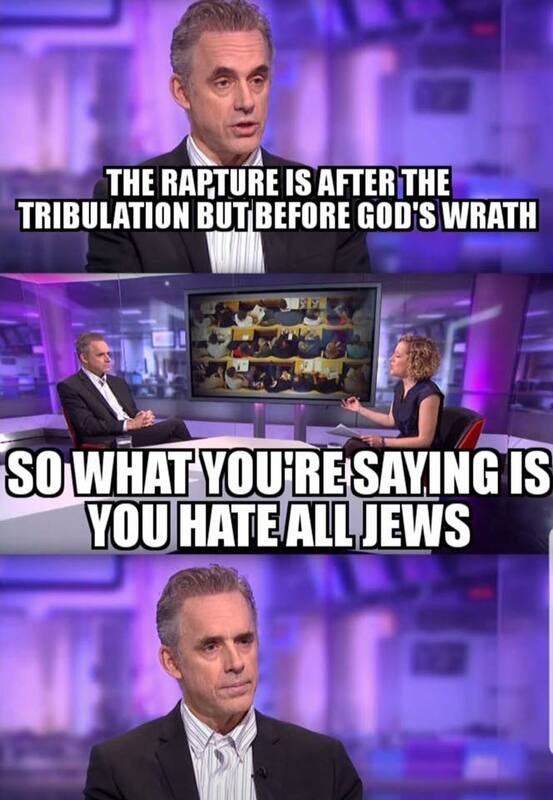 We are not against the Jewish people, but we are against their anti-Christ religion. We are not opposed to anyone owning their own private property, but we are opposed to the fraudulent property confiscation that is encouraged by Zionism. 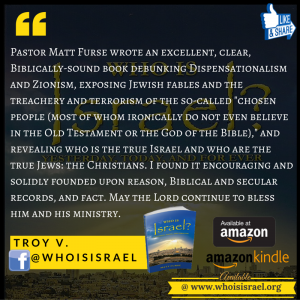 Anyone who opposes our Biblical doctrine, will try to label us as being “anti-Semitic” — but, don’t you believe it! 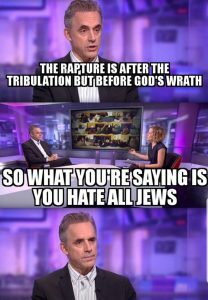 We are NOT anti-people, we are anti-false doctrine! Yet, sadly, in today’s world– Truth is an inconvenience, while falsehoods are comfortable. What is the “Great Commission” for every believer? …Preaching the gospel to every creature? …or, building a “Zionist State”? How have Christians gotten so far off track? Find out, in this insightful book! So, Why write this book, “Who is Israel?” ??? 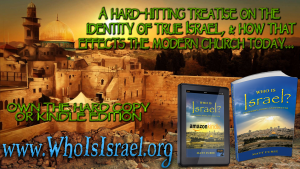 1) To clearly define who the True, Genuine “Israel” is, according to the Scriptures! 2) To clearly expose who the “Whore”; “MYSTERY, BABYLON THE GREAT, THE MOTHER OF HARLOTS AND ABOMINATIONS OF THE EARTH” actually is, according to the Scriptures! Christians in America are sincere people. They love their Bible, and their “land of the free and home of the brave”. However, most are completely unaware of the lies they’ve been led to believe. They are unaware that many of their own trusted sources of information are tainted. Christians are unaware that the majority of their trusted Bible scholars were taught by other scholars, who were taught by others—from erroneous sources. The problem goes back several decades, even more than a century. God’s people are likened to sheep, and sheep tend to follow other sheep—instead of their Shepherd! Without realizing it, we’ve trusted the theology of other sheep, rather than the simple, straightforward teaching found in the Book of the Shepherd, Himself. …No doubt, this book will be labeled as “unscholarly”, filled with “conspiracy theories”, or maybe even “anti-Semitic”, etc., etc. However, the real reason for its criticism will be because this book exposes the fraud and faulty logic that has dominated the airwaves, and profited millions of dollars’ worth of erroneous doctrine. “So, why is this book even necessary? 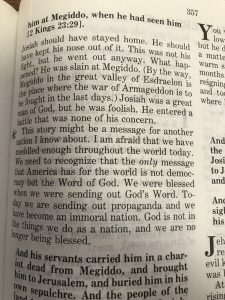 It was my desire to write a book about Eschatology (the study of the end times), but it has become obvious to me that the “elephant in the room” is Israel. 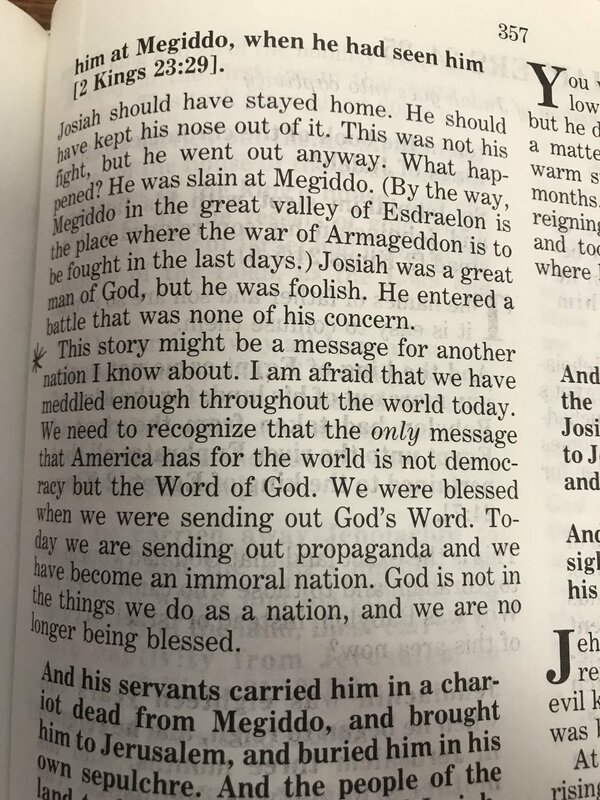 Everyone needs to know what is about to happen in this world—and what a person believes about Israel will determine their view of end time events. Therefore, before I can address the subject of Eschatology, I must first address the subject— “Israel”. Israel is the “watershed” issue. Who is Israel? – This book is an attempt to answer that question. Dispensational Eschatology is full of gaps & omissions. 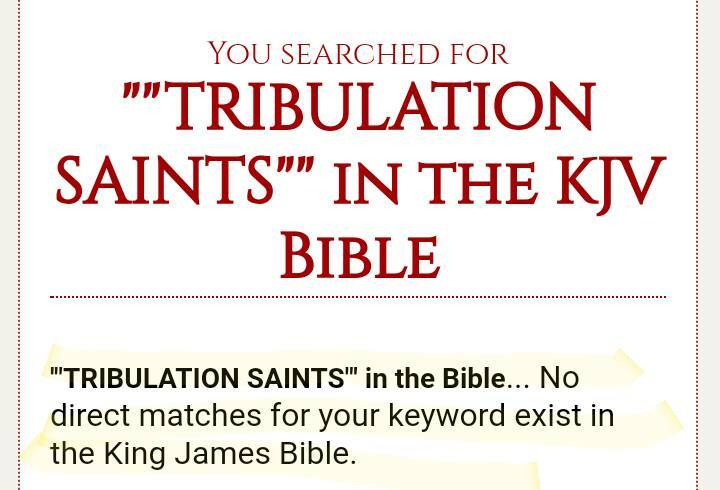 The “Pre-Tribulation, Secret-Rapture” cannot be defended with solid, Biblical evidence. The REAL reason for the invention & existence of Dispensational Theology is to accommodate a modern-day “Israel”. 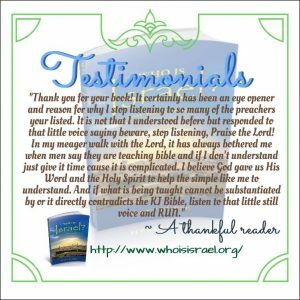 Even the Dispensationalist, John MacArthur, admitted — “…here’s my dispensationalism, okay? I’ll give it to you in one sentence. 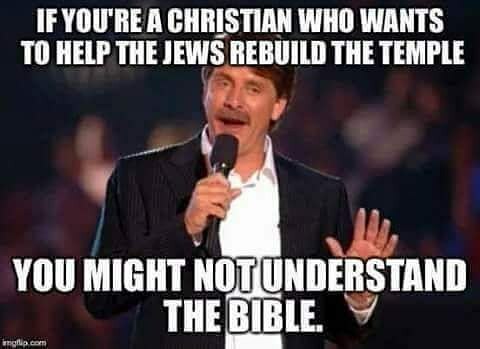 There’s a difference between the church and Israel, period. 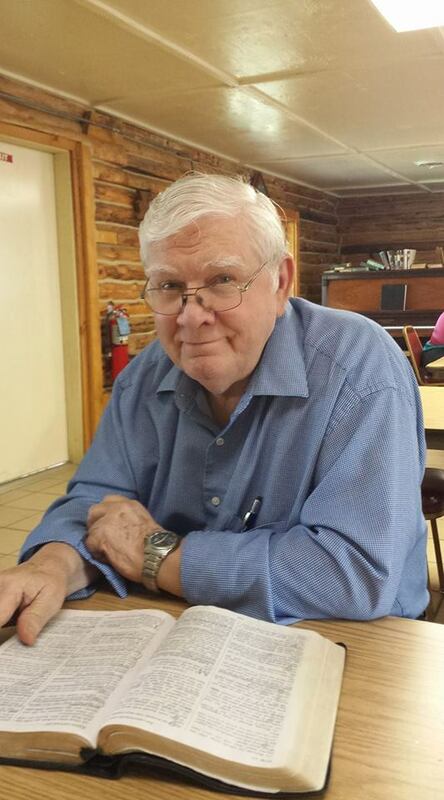 If you understand that, you understand the essence of what I believe is a legitimate Biblical dispensationalism…” This false doctrine exists for the sole purpose of misleading the Church into ignoring her “great commission”, as well as misleading a “Christ-rejecting, physical Israel” into her eternal damnation! 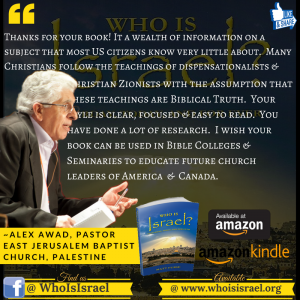 The book, “Who is Israel?” is NOT ‘politically correct’ (meaning it does not favor Jews, nor uphold Judaism as “almost Christian”), but it also does NOT promote hate, nor is the author “anti-Semitic”. Pastor Matt Furse simply believes that the Christian’s mission is to “preach the gospel to every creature”, and that would include preaching it to both the “Jew and the Gentile”. 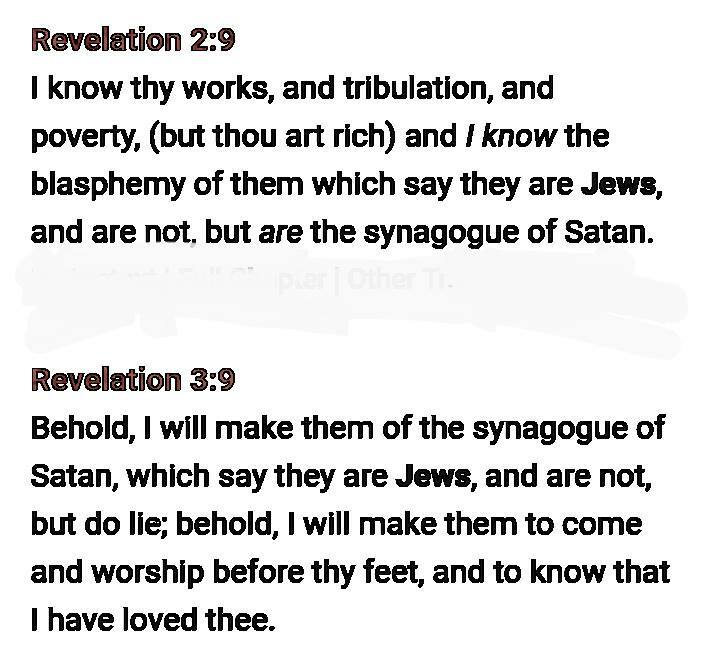 However, nothing could be more “anti-Semitic” than telling one ethnic group of people that they are already the “chosen ones”, and that their “flesh and blood” CAN “inherit the kingdom of God”— without Jesus Christ! (Giving them a false hope of salvation, outside of Jesus Christ). Meanwhile, telling the other ethnic group that they cannot be the “chosen ones”, and that they are just “second class” citizens in the Middle East. This book simply explains the absolute lunacy and hypocrisy of Christians who publicly support a non-Christian religion/state (while at the same time, neglecting other ethnic groups in the Middle East), AND, it exposes the USA’s financing of ‘Israel’ (with American taxpayer’s money) to the tune of over $10 MILLION Dollars — every single day!!! Contrary to popular opinion, God is “no respecter of persons” ! Who is Israel? The Christian community is divided over this question. 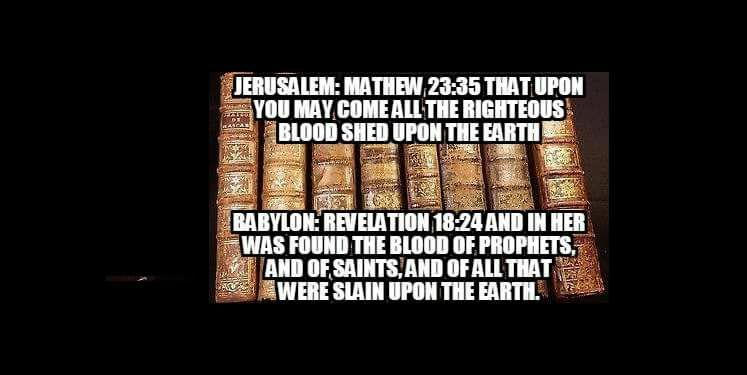 Modern Bible versions have muddied the waters. For decades, seminaries have unwittingly led their students astray. Pastors are confused. People are misguided. The end is near, and many are unprepared. 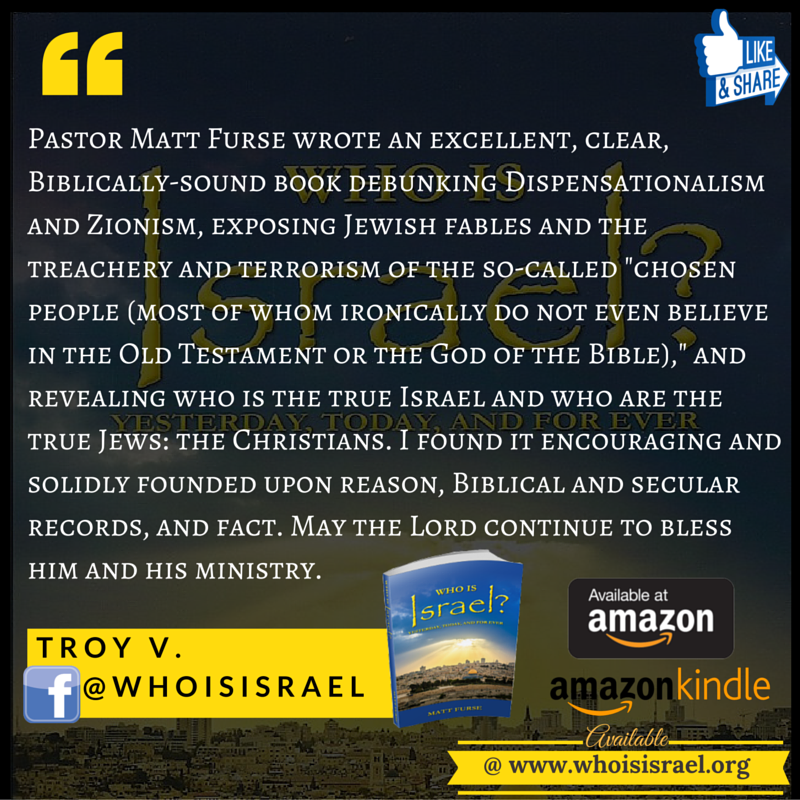 In this hard-hitting treatise Pastor Furse explains how the “theology train” got off the track, what this false doctrine is doing to our country, and what the Bible-believer needs to be prepared for in the days ahead. Eschatology cannot be rightly divided until “Israel” is properly defined. Who is Israel? Do you know? 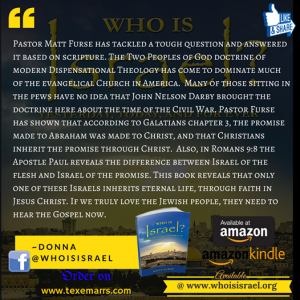 ~ HOW did Pastor Matt Furse’s understanding of “Israel” come about? ~ WHY is a correct understanding of “Israel” so necessary? –Because, the Word of God is the Truth, and the Final Authority, no matter what others will say. God is NOT the author of confusion. There is much error being taught and promoted in our church pulpits, today. Someone must stand in the gap, declaring, “Thus saith the LORD”. 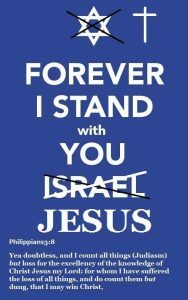 –Because, if one’s understanding of “Israel” is incorrect, then one’s understanding of the Word of God and the End Time Events, will also be incorrect. Eschatology cannot be rightly divided until Israel is properly defined. 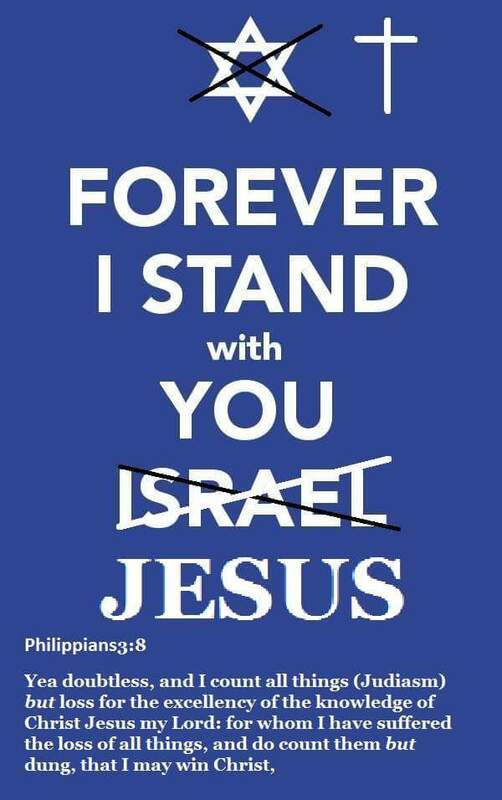 Instead of “blessing Israel”, many are unwittingly blessing the “anti-Israel”! It is possible to be very sincere— and yet, sincerely wrong! 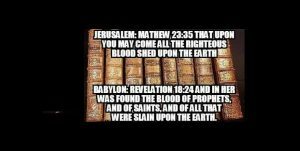 Many are being deceived by “MYSTERY, BABYLON THE GREAT”! 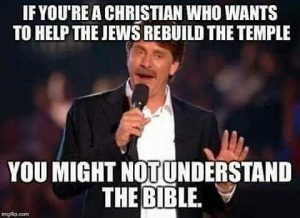 It is always very encouraging to come across Christians who tell it as it is when it comes to physical ethnic Israel and the reason why is because it is rare for Christians to speak out against the indoctrination and the brainwashing of the pro Israel position. I gave public talks on biblical prophecy and the New World Order two years ago and it took me into not only the roots of political Zionism and the Zionist matrix that controls the media, the banking system but also Western Governments. 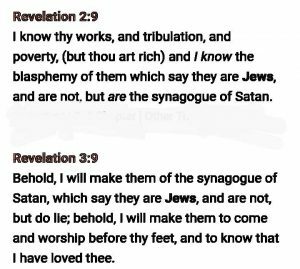 I think the prophecies concerning Esau and also the identity of ‘Gog’ are in this ‘mix’ of ‘Who is Israel. 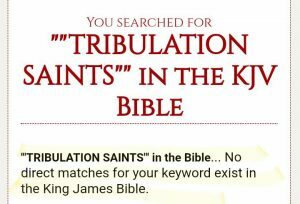 Also only Jerusalem was referred to as a Harlot and so I believe clearly is Mystery Babylon for Jerusalem is only City who kills the saints and the prophets. Thanks for putting it out there brother. In Christ Jesus in whom are ALL the promises fulfilled. Thank you, Nigel! It is encouraging to hear of the many ways that the Holy Spirit continues to lead many to the Truth!